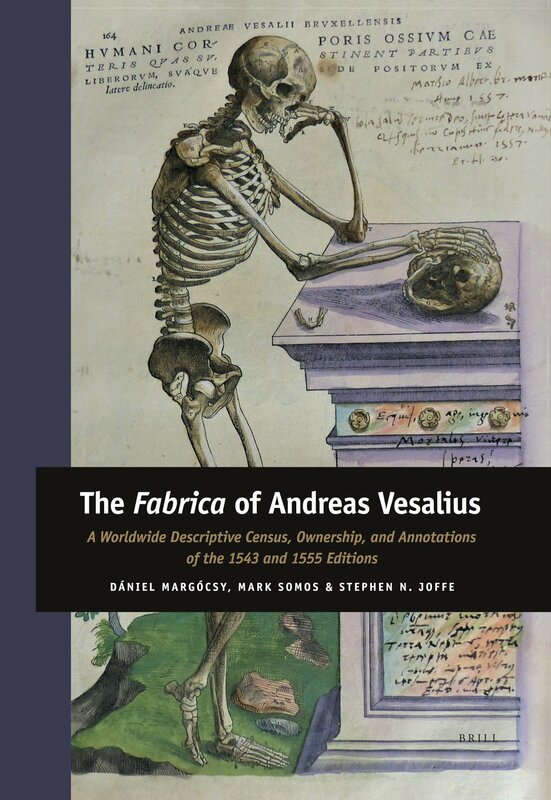 The Fabrica of Andreas Vesalius: A Worldwide Descriptive Census, Ownership, and Annotations of the 1543 and 1555 Editions. This is the website of the Vesalius Census, and the book that has resulted from it. Our book provides bibliographic information, ownership records, a detailed worldwide census and a description of the handwritten annotations for all the surviving copies of the 1543 and 1555 editions of Vesalius’ De humani corporis fabrica, the first major printed atlas of anatomy. Our book also offers a groundbreaking historical analysis of how the Fabrica has traveled across the globe, and how readers studied, annotated and critiqued its contents from 1543 to 2017. The Fabrica of Andreas Vesalius sheds a fresh light on the book’s vibrant reception history and documents how physicians, artists, theologians and collectors filled its pages with copious annotations. It offers a novel interpretation of how an early anatomical textbook became one of the most coveted rare books for collectors in the 21st century.